It wouldn’t be a monster episode without MONSTERS, would it?! Awww yeah it’s zombie time! American podcast legend KC Wayland joins me for a chat about craft, zombies, and Force Multipliers of Art. 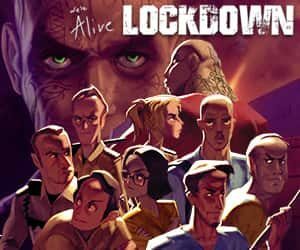 We’re gonna play an episode of We’re Alive: Lockdown, the miniseries that combines a jailbreak with horror-survival adventure. SPOOPTOBER CONTINUES, as we bring you yet another episode to thrill and perturb!